Riga, Sunday morning. I feel like exploring Latvia and start asking around: where can I go for an afternoon trip? I was unanimously advised to go to Sigulda and explore Gauja National park. I ran to the train station and 1h15 later, I arrived in Sigulda. This is probably the greenest place you can imagine, and the cleanest air you can breathe! 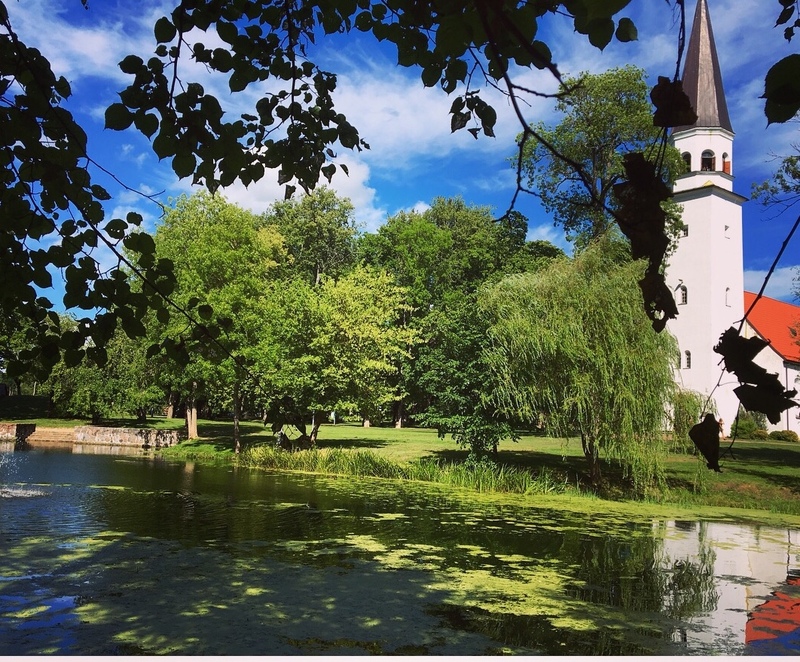 Sigulda is ideal for those who wish to take a small break away from the city. I liked it instantaneously. I decided to visit everything. I grabbed a map at the tourist information center and started planning the day with my friend. 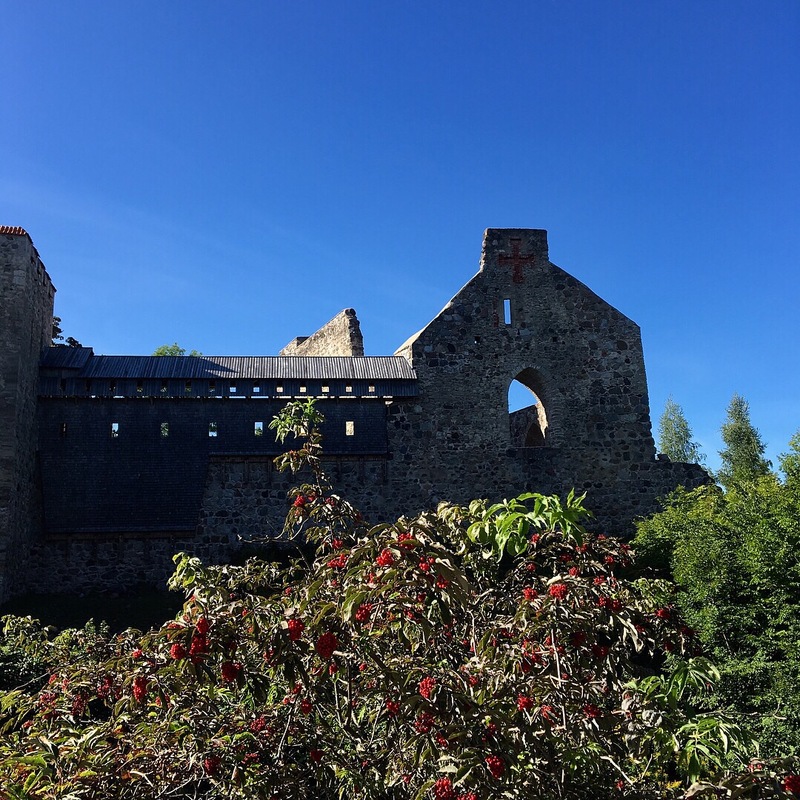 We agreed to cross the Gauja valley with the cable car, visit various manors and castles, then the Gutmanis Cave – the largest cave in the Baltics – and to go bobsleighing before returning to Riga at the end of the afternoon. But we were being extremely optimistic! Even before reaching the first castle, we were already exhausted. We walked down extremely long wooden stairs hidden in the woods (beware of the space between the steps!) that led us to the banks of the Gauja river. We crossed a bridge spanning the river and decorated with numerous Latvian flags flapping in the wind. Then we walked up the Serpentine road (the name might be appealing but it is far as romantic and much more sporty than it seems) and, as we were about to realize that we were definitely lost, caught a glimpse of the Turaida castle, a red dot in an immensity of green. 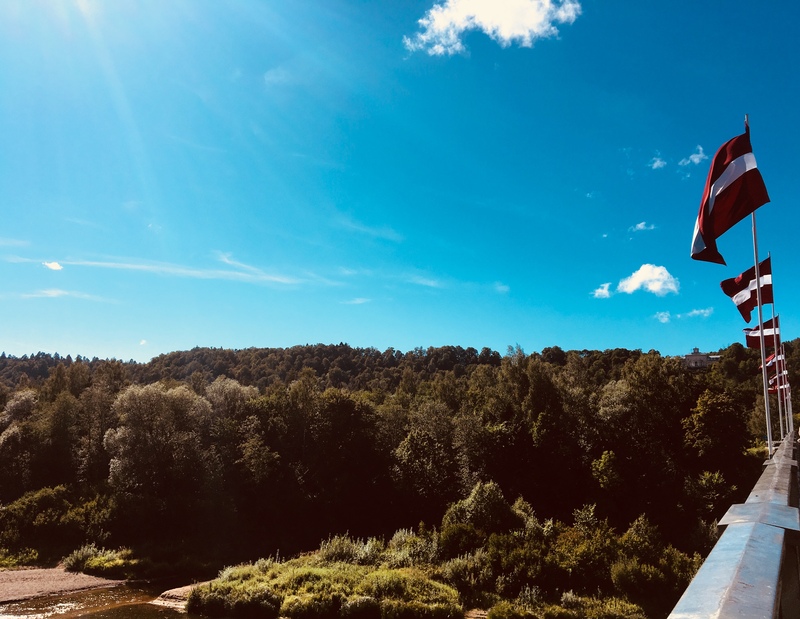 In the end, we realized that Sigulda has too much to offer and just had time to enjoy the picturesque landscapes and the ruins of a medieval castle. In total, we walked no less than 14km and climbed the equivalent of 47 flights of stairs. Get ready for a slightly challenging day and the inevitable muscle strain that follows! I woke up the next morning unsure about how I was going to survive a day at work. 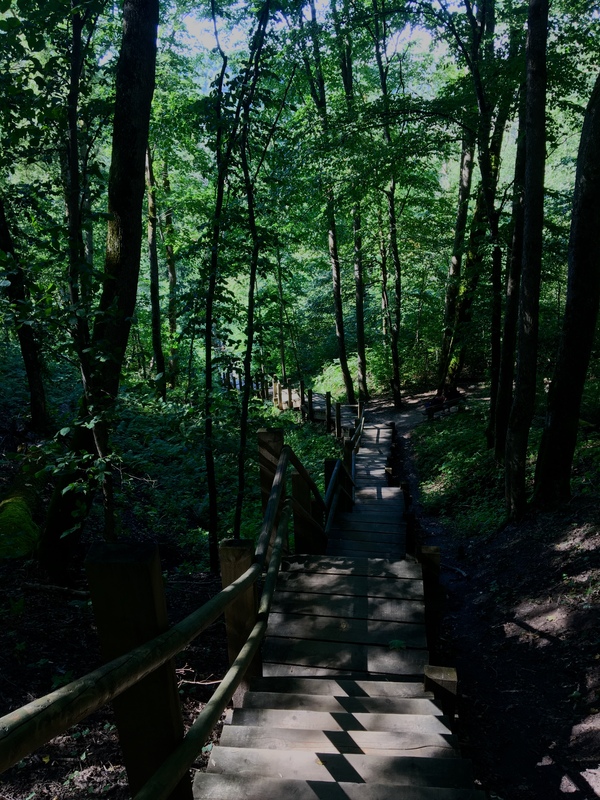 That being said, I definitely recommend you to start exploring Latvia and definitely visit Sigulda if you’re staying in Riga. It was absolutely stunning to discover the natural landscapes of Latvia, seemingly infinite green areas that stretch as far as the eye can see and only disrupted by rivers and isolated castles. Have a look at my other posts as an intern for the Russian Language Academy Durbe and follow the Instagram page!